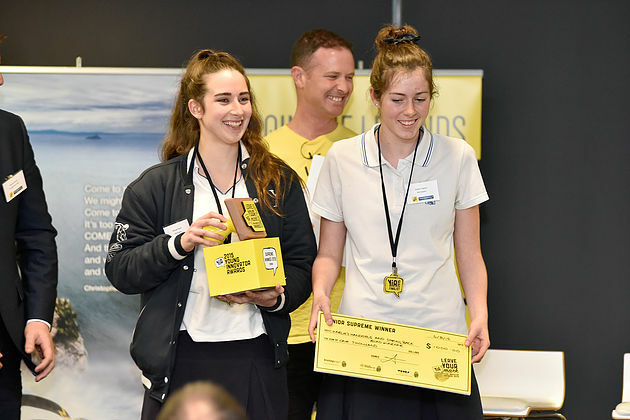 The best of the Western Bay of Plenty’s up-and-coming innovative minds were celebrated in 2015 at our Young Innovator Awards night in front of a crowd of 300 people at the ASB Arena. 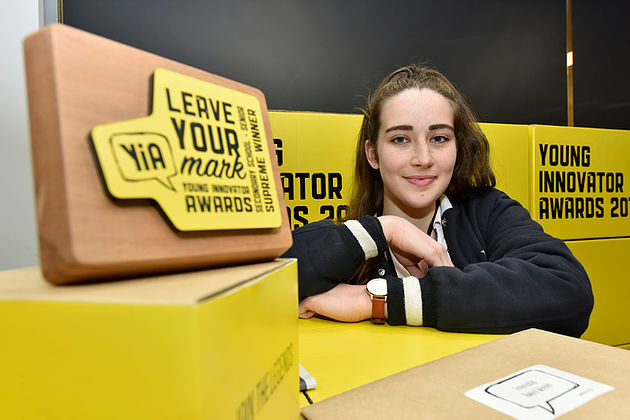 Hannah Payne from Tauranga Girls' College won the Senior Award as well as the Internship Award, securing a two-week work experience placement with Locus Research & Woods Creative. She designed gel cushion handles for crutches to prevent pain and bruising to the hands of those using them. Hannah developed her idea during a two week internship and the output was so good, she has received enquiries from the local investors to further her idea. Watch this space! The creator behind Spring Back Road Marker, Jaysha Tippins, recognised that the existing post edge makers that are used to create visibility at night are often snapped making it dangerous for motorists. She came up with a unique and eco friendly design that springs back into place if hit by a car. Aquinas College student Briar Patel took out the People’s Choice Award. With the self-imposed objective of designing an activity for students of Kaka Street Special School, Miss Patel decided to create an activity to help educate students in crossing the road safely, in turn, assisting senior students in becoming self-sufficient and better equipped to cope with independent living. 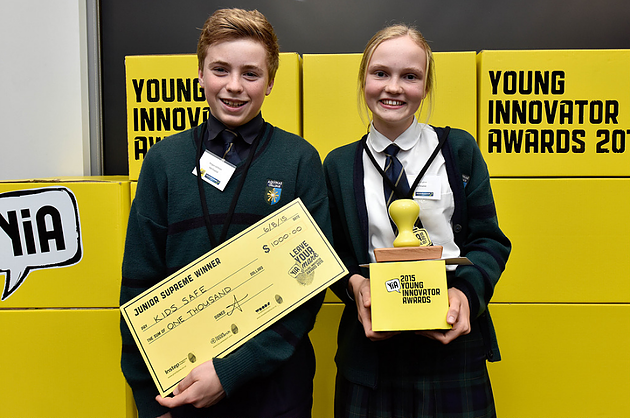 Fergus Lellman and Lucy Maher came up with the idea of Kidsafe, a mobile application that protects children from the perils of the internet by allowing the user to set their phone up in two different modes - parent or child to reveal different interfaces. The judges were extremely impressed by the maturity of the idea and the level of thought the students had put into it.